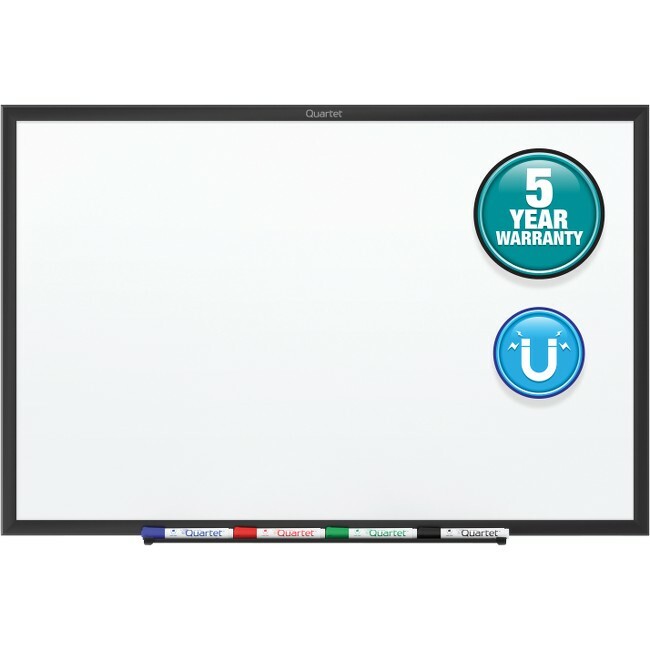 Upscale, magnetic dry-erase board offers a smooth, blank writing surface that is ideal for jotting down reminders, collaborating with others and keeping yourself organized. Ideal for moderate use in spaces with regular traffic. Magnetic quality with steel backing allows the surface of the board to double as a whiteboard and magnetic bulletin board. Clearly write messages using dry-erase markers and hang documents on the board using magnets. Black finish, aluminum frame is sturdy and stylish. Attached marker tray provides convenient storage for accessories. 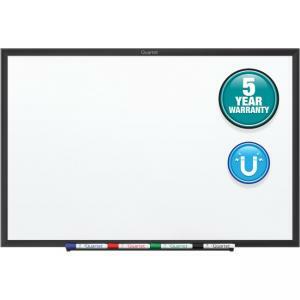 Board also includes one dry-erase marker with a chisel tip and easy-to-use hardware for wall mounting. To extend the life span of the board, clean the surface regularly with Quartet cleaning solutions.